Lomachenko faces mandatory challenger Crolla at the Staples Center in LA, in the early hours of Saturday, live on Sky Sports, after a unification clash with IBF holder Richard Commey was scuppered due to a hand injury suffered by the Ghanaian. "I want be in history and I want to fight for fans. I want to fight for myself, of course I want to unify all titles, but I don't have a choice because he is mandatory," Lomachenko told Sky Sports. "He's tall," added the Ukrainian. "But I know about 135, I came to this weight class from 130. It's my natural weight, it's my natural size; I know about size of my opponent at 135, it will be very interesting." 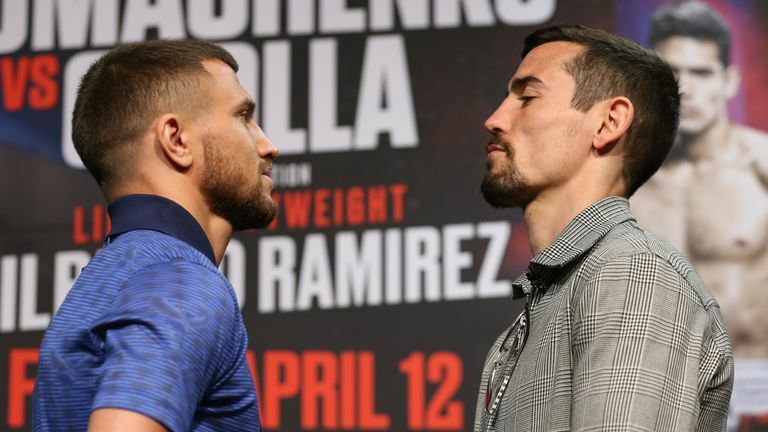 Former world champion Crolla, who secured mandatory status to his old WBA belt after defeating David Yordan in November, is an inch-and-a-half taller than Lomachenko but knows size is not everything. 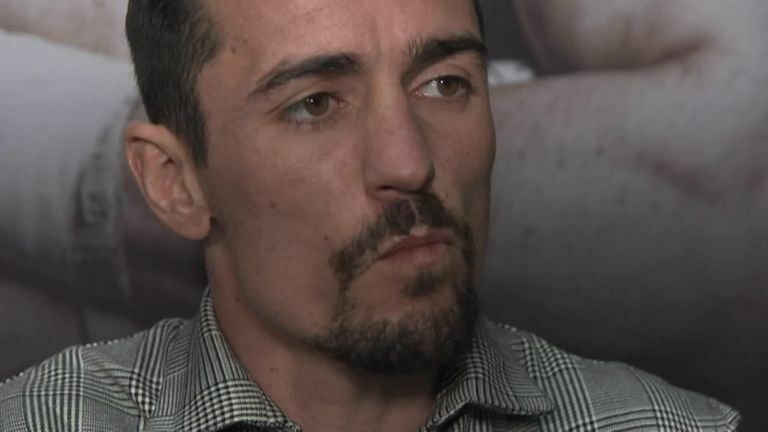 "I knew was the bigger guy," said Crolla. "But it's going to take much more than just being the bigger guy to win on Friday night. But of course I'm going to look to use that to my advantage, it would be silly not to." During the build-up to the fight, many of the questions have been regarding who Lomachenko will fight next, but Crolla is happy to be the unconsidered underdog. "It's nice and hopefully there are a lot of people overlooking me and that makes it all the better Friday night when I go out there and try to shock the world. It's expected, he's seen as one of the best fighters on the planet and they're talking about fights down the line, so I don't take it personal. "I've been around boxing all of my life, I live for this sport. I've been around the big fights, like I say, I'm enjoying this. I'm here to do a job but I was told a long time ago, you've got to enjoy these nights. "So that's what I'm doing, I'm enjoying all this fight week and it's a lot easier than being back home as well, so happy days... I'm relaxed and can't wait for Friday night."